Ready for a retro rewind? Reebok has recently launched two classic designs that will have you reminiscing about your favorite kicks from the '80s and '90s. 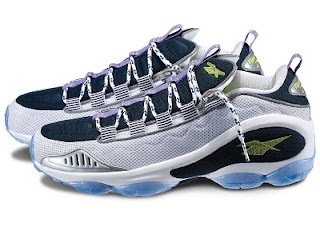 The DMX Run 10 was created by Reebok back in '97 and defied what comfort could mean. With DMX moving air technology, this shoe is back and ready to defy expectations once again. 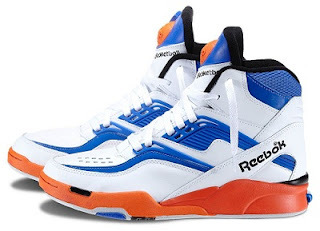 The Pump Twilight Zone is another blast from the past, and only available at Reebok.com! These shoes were made famous by the "Human Highlight Reel" Dominique Wilkins as well as many other superstars of the the late '80s and early '90s. Its pump technology adjusts the air chamber to fit your foot and has a high-abrasion outsole of traction and durability. These shoes will be available at 8am on Friday, May 3rd so don't miss out! Don't miss out on these classic shoes and head over to Reebok to grab a pair today!